Jungheinrich’s Benchmast has been shortlisted in the Safety category of the FLTA Annual Awards for Excellence 2015. The Fork Lift Truck Association’s prestigious awards ceremony, now in its 21st anniversary year, will take place on Saturday, 28th February 2015 at The International Centre in Shropshire. 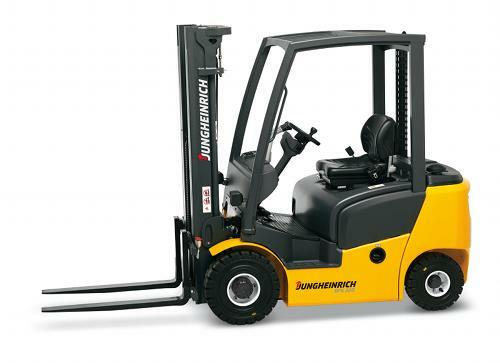 The Benchmast is Jungheinrich’s new forklift truck mast design that improves the operator’s field of vision by up to 85% at the tip of the forks – setting a new industry benchmark in mast design and safety. Jungheinrich’s design engineers have hugely enhanced the operator’s view of the load, forks and general working area by optimising the position of the truck’s chains and hydraulic hoses in the shadow of the mast’s profiles, reducing the mast’s width and introducing ‘vision windows’ in the free lift mast. The Benchmast can lift a load of up to 3.5 tonnes to a height of 7.5 metres. Votes for the FLTA Annual Awards for Excellence 2015 can be cast until 15th January.